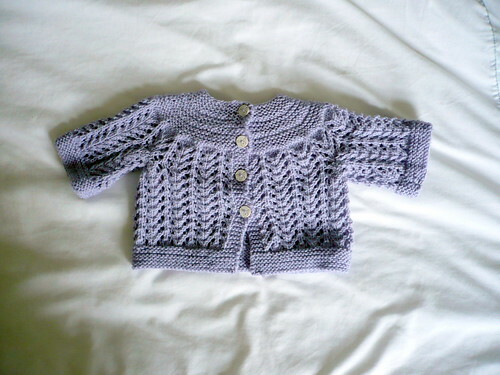 I knit this little February Baby Sweater 2 years ago, and I loved the yarn, despite it being nylon and acrylic. It's a very soft and pretty baby yarn and I thought it was perfect for my niece. My sister in law had put in a request for a baby hat and the magazine gave me the perfect pattern to use. 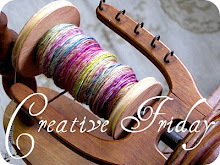 I cast on using the Tubular Cast On tutorial from Woolly Wormhead. When I got to the end, I couldn't be bothered to match the cast off, so each side of the hat is different. I think next time I won’t do a fancy cast on unless I can finish off in a like manner. 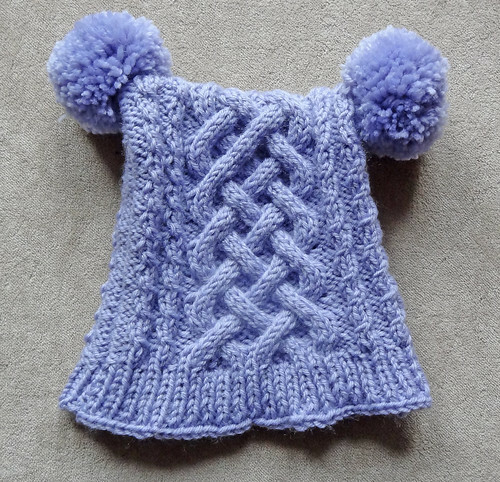 Especially for this pattern, which was knit flat and then seamed. The chart for the cables, in the magazine, is wrong. The wrong side rows have the knits and purls the opposite way round to what they should be. It took me several minutes to work out what was wrong, even though it was staring me in the face. Once I got it right in my head, it wasn't too bad, though I still managed to do the cabling wrong twice! I haven't ripped it back and started again, as I don't think it is noticeable unless you are looking. It's worked out to have one mis-cable on either side in approximately the same place, so in my book that's balanced. 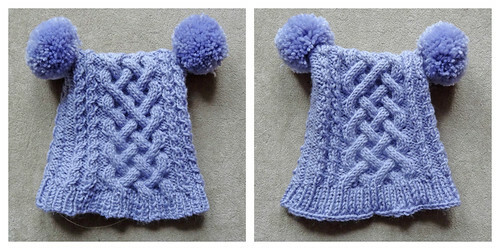 One of the best things about this pattern is the pom poms. 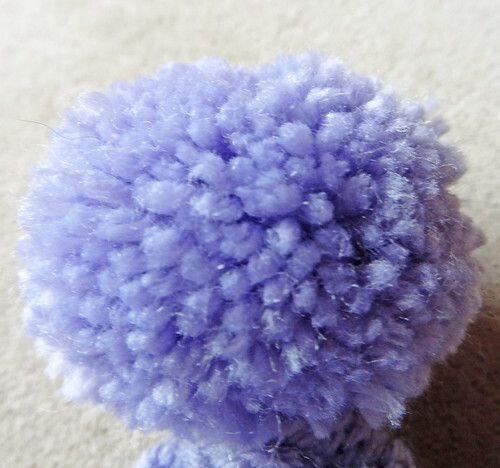 I love the pom-poms I made using my Clover Pom-pom Maker. It’s so much faster and neater than cardboard. If you are interested in how they work, there is a video here. They turn out so much plumper too. This was a quick and interesting little project that will be heading North over the weekend to keep my little niece's head snug and warm over the next couple of months. I think I may try the plain version of the hat too. I've got plenty of this baby yarn left over, in several different colours and I have a little baby in need of warmth over the Winter. 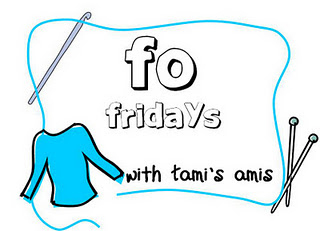 To see other finished projects click on a button!